Felix Mendelssohn is thought to be one of the most popular composers of the early Romantic period. 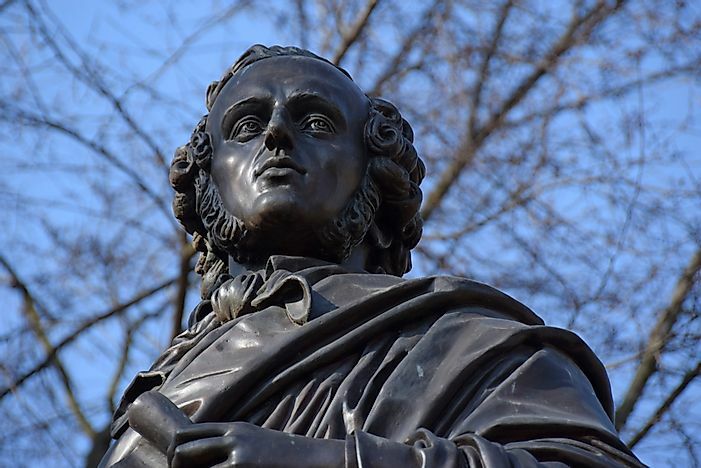 Commemorative statue of Felix Mendelssohn Bartholdy in Leipzig, Germany. Jacob Ludwig Felix Mendelssohn Bartholdy is a renowned musician and German composer who during his time made a significant impact on the music industry and to his nation. Felix was born on February 3, 1809 in Hamburg, Germany after an elder sister, Fanny, who at that time was embracing musicals too and had become a distinguished musician. He had two younger siblings named Paul and Rebecka. Abraham Mendelssohn and Lea Salomon were the parents of Felix, who did their best to educate their four children and in the end. Felix and his family were practising Jewish family though he did not grow up with religion until the age of seven when he was baptised as a Reformed Christian, adopting the name Jakob Ludwig. Mendelssohn began his musical journey at a young age where he wrote piano music and symphonies. Mendelssohn began to show his interest in music at an early age, so his mother taught him music at the age of six. He later studied piano by a distinguished piano tutor and then started making appearances to perform. Besides music, Felix also had interest in philosophy, education, and literature. Mendelssohn had skills in keyboard and piano performing and did this throughout his life. He was also a conductor of music and an editor to both his music and other people’s. There are several schools where Mendelssohn taught as music and literature teacher, though not so many. He only taught where he saw great potential in the students. Felix has significant inputs that are evident in his country Germany and England. The songwriter and composer was a known editor who helped other composers in producing their music, and at that time, not so many music editors were available. The primary challenge Felix Mendelssohn went through is that even though he wrote a lot of music and symphonies, not all the pieces he wrote were published in textbooks and other music books. All felt his attributions, but textbook publishers did not release all of his work for reasons no one understands. To date, the music industry greatly appreciates music by referring to names like Felix Mendelssohn and his sister who were among the founders of piano and keyboard music. People only know Felix Mendelssohn from the little publishers was able to publish and a lot was left out of him. At the age of 38 years, Mendelssohn was at the peak of his career traveling the world to make performances and in composing songs. At that age, he had lost both his parents, his sister Fanny, and his grandparents. Their deaths caused him much distress. Felix Mendelssohn died on November 4, 1847, due to a series of diseases and strokes. During his death, many countries mourned his passing and later in years; other famous composers performed his songs to shows. Many people from the 20th centuries are appreciating Mendelssohn and his work and even publishing his work that had not been published before.